China Focus | When Will the China-U.S. Trade War End? Since the beginning of this year, the U.S. has unilaterally launched several rounds of unprovoked trade sanctions against China. The trade war between the world’s two largest economies, with total economic volume of about 40 percent of the global economy, has inevitably impacted the whole world. When will it end? What is the most reasonable solution? Such questions demand global attention. On July 9, 2018, the U.S. imposed tariffs on 34 billion U.S. dollars of Chinese products. On August 23, the U.S. announced it would collect extra tariffs on another 16 billion U.S. dollars of Chinese goods, bringing the total figure to about US$50 billion in goods that now face an additional 25-percent tariff, which forced China to take necessary countermeasures to defend its legitimate rights and interests. Disregarding overwhelming international and domestic opposition, the U.S. government announced a decision to impose additional 10-percent tariffs on 200 billion U.S. dollars of Chinese products starting from September 24. 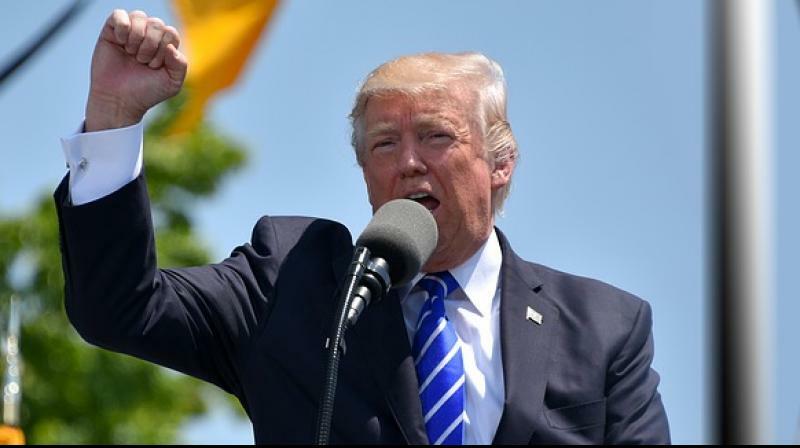 Furthermore, the tariff rate will increase to 25 percent in January 2019, and U.S. President Donald Trump has even threatened to impose 25-percent tariffs on the remaining US$267 billion worth of imports if China retaliates. The bullying attitude of the U.S. side is glaring. Trump ran on a claim that imposing tariffs on Chinese goods would protect the interests of the American people, but his sophomoric grasp of the global economy and strong-arm tactics will not help Americans whatsoever. At recent hearings in Washington, D.C. from August 20 to 27, more than 95 percent of the 350 attending representatives from various American industries and the public voiced opposition to additional tariffs on Chinese goods. They sent a clear message during the hearings: The proposed tariffs hurt the interests of U.S. companies and consumers. American companies don’t need the government’s trade protection. China’s products are good and cheap, and the relevant industrial chains are irreplaceable. And there is no evidence that China has forced American companies to transfer intellectual property rights. 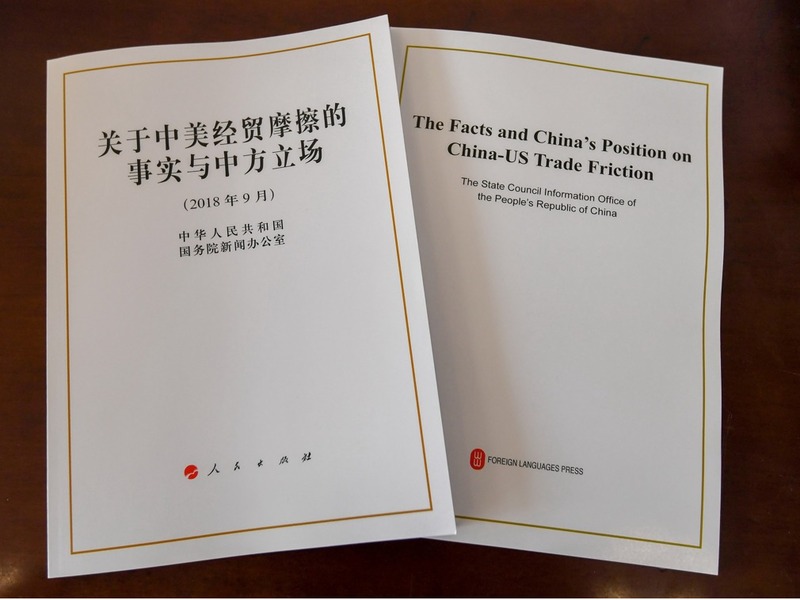 On September 24, China published a white paper to clarify the details on China-U.S. economic and trade relations which accused President Donald Trump’s administration of “trade bullyism practices” and sought reasonable solutions. However, it seems the Trump administration continues to ignore the basic facts related to China-U.S. trade relations as well as public opinion and act arbitrarily. So far, the Trump administration’s strategy has been obvious. Trump has repeatedly torn up agreements reached by the two countries in favor of constantly adding more pressure on China. This routine does not seek to eliminate bilateral trade deficits and change what he considers China’s “unfair trade practices”—he has ulterior motives. 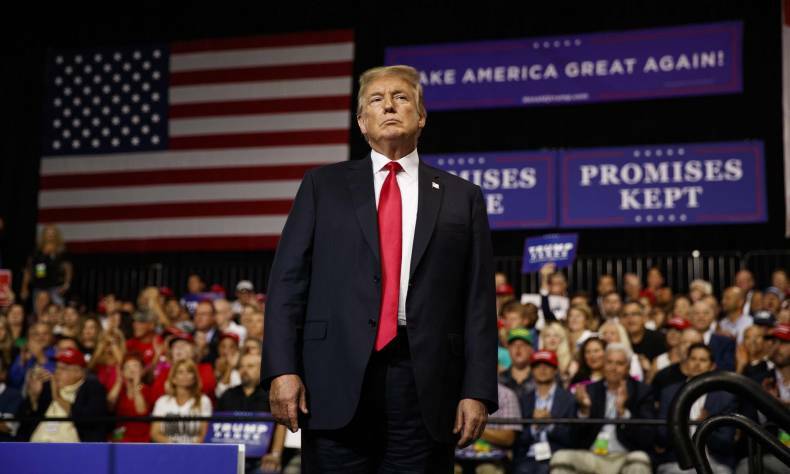 In the short term, through eye-catching and unprecedented trade protectionism measures, the Trump administration seeks the political capital ahead of the upcoming midterm elections to solve the domestic political problems and lay the groundwork for the 2020 presidential election. The Trump administration has declared that it is presently unwilling to negotiate with China. Trump seems to have benefited much from his baffling work. The domestic economy grew strongly, and the unemployment rate dropped to a half-century low. With continued international capital inflows, the U.S. stock market has climbed to historic highs. And the latest polls showed his approving rating rising to nearly 50 percent, surpassing Obama’s at the same period of his presidency. Consequently, he has little motivation to seek a truce until the “benefits” of the trade war are exhausted. In addition, Trump’s neo-mercantilism economic policies and hawkish allies also evidence the “belligerent” nature of the U.S. administration, so they will not call off the trade war until they get what they expect. Trump believes that the U.S. holds a bigger stack and more advantages in this game. Compared to China’s slowing economy, the U.S. economy has seen strong growth momentum. Moreover, U.S.-China economic and trade dependence is not balanced, so he believes that the U.S. can “easily win” the trade war with China. So the China-U.S. trade war is reaching fever pitch. The price demanded by the U.S. side is extremely high, which aims not only to fully open the Chinese market and formulate “fair trade rules” favoring the U.S., but also to interfere with China’s long-existing policies to support scientific and technological innovation and domestic industries and even change China’s development model to some extent. Facing the “trade bullyism” of the U.S., China definitely will not give in to every demand. In modern times, there is no precedent for China compromising due to external stress and unfairness. China has said that it will take active consideration to improve the China-U.S. trade imbalance, but overall, the differences between the demands of the two sides are still huge, so it would be difficult to reach a compromise in the short term. In fact, the trade war is a bargaining tool and an extension of negotiations. In addition, considering the upcoming midterm elections and Trump’s deep domestic political turmoil such as the “Russia probe” dragging him down, he will not easily give up the powerful manipulative tool of the trade war to sway public opinion. Therefore, a China-U.S. trade truce is unlikely to happen this year. If the China-U.S. trade war continues endlessly, not only will it eventually hurt the interests of both sides, but it could sink the stability of the global economy. 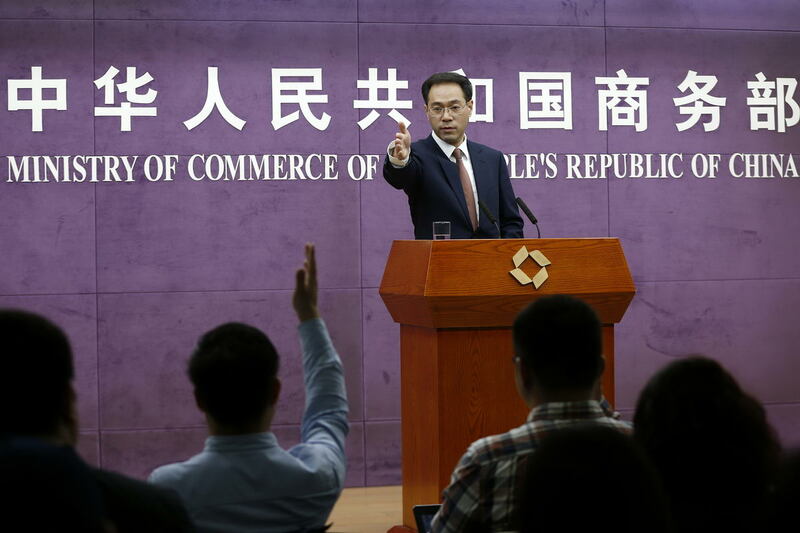 China will suffer huge losses, so will the U.S.
Δ According to the spokesman of China’s Ministry of Commerce, China does not want to see escalating Sino-U.S. economic and trade friction, but is prepared for all possible scenarios. Since China’s reform and opening up, the economic and trade ties between the two countries have been constantly strengthened. In 2017, the total trade volume between China and the U.S. reached nearly US$600 billion. China has become the largest export market of the U.S. outside North America. Various U.S.-produced goods are sold to China, including 62 percent of the country’s soybeans, 14 percent of cotton, 25 percent of Boeing planes, 17 percent of automobiles and 15 percent of integrated circuits (IC). At the same time, China’s high-quality and low-cost products have also become important parts of daily lives of ordinary Americans, enabling them to enjoy an affluent life while reducing living costs. It should also be noted that China is the largest holder of U.S. treasuries, with more than US$3 trillion worth of foreign exchange reserves, most of which is held in U.S. dollars, greatly supporting the U.S. dollar global system. Moreover, China and the U.S. have formed a complicated and intertwined relationship in the world’s industrial supply and value chains. As a center of the global production network, China is an irreplaceable supplier to many American industries. When the supply chains are destroyed, the survival of many American enterprises will be threatened, leading to industrial depression and mass unemployment. Therefore, if the U.S. continues to ignore the great common interests of the two countries and tear apart the deeply interconnected and embedded interest- network weaved by the two sides for many years, it will eventually result in steep losses on both sides and hurt the fundamental interests of the U.S.. So far, China has worked with the U.S. to conduct several rounds of talks and negotiations. Although the negotiations have broken down repeatedly, as long as the two countries maintain communication channels and contacts, an end to the trade war could still be possible. 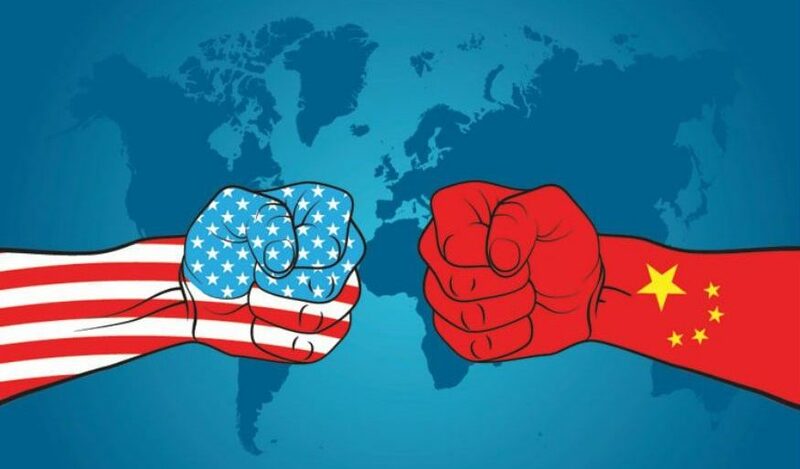 However, how long the trade war will last depends on many factors, including the progress of negotiations, the economic development situations of China and the U.S., and the domestic political development situations of the two countries. If the extension of the trade war hurts the economic growth and stability of the U.S., and its negative impact is widely felt by the American people and affects public opinion, the U.S. government will actively consider a compromise and propose a truce. Therefore, the end of the trade war depends on the arrival of the cost-benefit tipping point of the U.S. waging the trade war. If tariffs continue to be levied to the point that the political and economic costs and losses of the U.S. outweigh its gains, both sides will consider a truce; otherwise the trade war will continue. For now, we can expect 2019-2020 to be a critical period for the trade war. Because the U.S. midterm elections will be over by that time, Trump’s political motivation to continue to manipulate via the trade war will decline. Moreover, continuing to play with fire is quite likely to have a negative impact on public opinion, which is not wise for the lead-up to the following presidential election. This will also be a critical period for U.S. economic growth. The short-term dividends of Trump’s new fiscal, trade and financial policies will gradually be exhausted, and the structural factors that limit economic growth and the negative effects of the trade war will begin to emerge. The U.S. economy is likely to reach a peak and fall, with rising economic and financial risk. This may make it easier for the U.S. to compromise, prompting the two sides to end the trade war. The author is an associate research fellow with China Institutes of Contemporary International Relations.